We often think we have things under our control. But some times it's really hard to balance between our career and friends, family, hobbies and other things that make us happy. 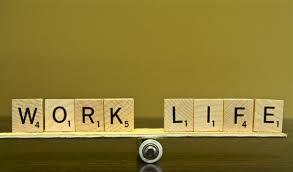 Еxperts often warn us that balancing between work and personal life can cause more evil than good. There are new studies that indicate precisely the refusal of the search for balance and acceptance of imperfection can change our life. Accept this fact. No matter how hard we try to find the ideal balance between work and private life, there will always be someone who is neglected in corner. If you are focused on constantly repairing these trifles, you start to miss those things that you have already found enough time. If your job causes you passion, then it is already perfectly integrated into your life. No need to try to reduce the pleasure that it causes you so that you make time for those things that you do not enjoy. It's perfectly okay to be selfish sometimes, if it leads to a more fulfilling life. You select the next step, but when there is a balance, the great success frequently is missed, no matter what aspect of your life is working. You must focus on what is most important to you instantly and remember that is all right with time priorities to change. If you need to focus only on one aspect of your life, particularly at this point, you can do your best to quickly and efficiently complete your order. For everything in life there is time, yours is only to make a good plan. Future is the future and what actually happens beyond this point is beyond your control. You can not control all aspects of your life. It's exhausting work that often ends in failure in all fields. But if you focus on those things that are important to you instantly, then you can achieve a lot.